I love a good chocolate chip cookie so I knew that I had to find a good vegan recipe for one. 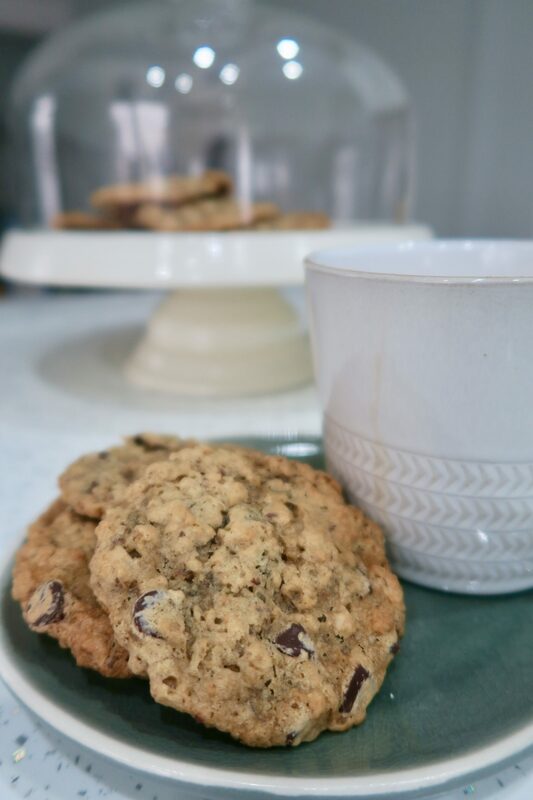 I used a ‘flax egg’ for the first time in this recipe – basically just ground flaxseed mixed with water used to bind the cookie mixture together in place of the egg. It worked really well and these cookies are lovely and chewy and tasty. In a separate bowl combine all the dry ingredients and add to the sugar and egg mixture. Leave to cool on the tray for a couple of minutes before transferring to a wire rack to cool completely. 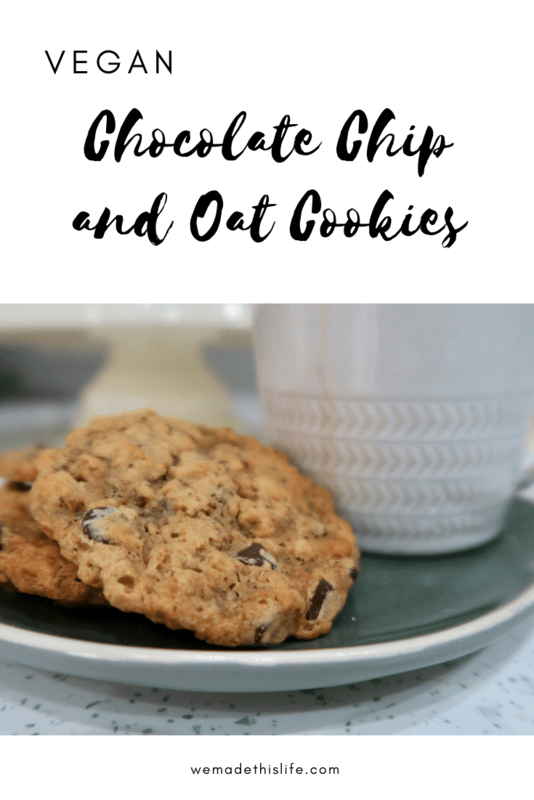 My children devoured these cookies, and I love them because they are easy to make, vegan and they have the added oats to give them a little more protein which makes them better for you than regular chocolate chip cookies. Do give them a go and let me know in the comments what you think.